We tend to think of grilling as being a quintessentially American thing: dad with a beer in hand burning some burgers over a grill smoking with too much ligher fluid. Grilling is actually something that everyone all over the world does. Some scientists credit it as being the first step that set humans on the road to civilization. Every culture has a way of grilling that is particular to them. If you’re looking to expand your grilling skills, here are some ideas to add international variety to dinner. This is an iconic Japanese street food, typically eaten late at night after work or with a group of friends. The yakitori-ya, the street stands where yakitori is sold, are famous for their friendly atmosphere. Yakitori is made with chicken, skewered and grilled over charcoal. It can be seasoned with salt, or tare sauce, a sweet and salty sauce similar to teriyaki. 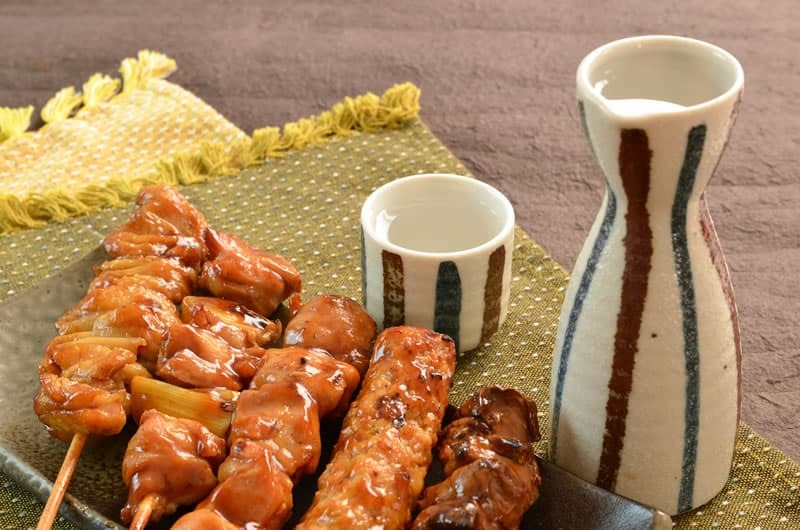 Yakitori skewers can also have a variety of other things added, such as spring onions and meatballs, to add a little variety to the meal. Most people have tried making shish-kabob on the grill at some point or another. We’ve threaded some beef tips or other cut onto a skewer with onions, peppers, maybe some tomatoes or other veggies. Shish-kabob is primarily a middle-eastern food that is also eaten in central Asia. There are different kinds, but the traditional kabob is actually usually lamb that is season and grilled over flame. Then, it is taken off the skewer and eaten on a sandwich, over rice, or any other way you like. Popular throughout the Caribbean Islands, jerk is basically BBQ with a particular type of seasoning. The base is allspice, and Scotch bonnet peppers that grow on Jamaica that give it a fiery kick. It might also include cinnamon, garlic, and thyme. The season is usually seen applied to chicken, but it is also can be used on pork. It’s also good on seafood, beef, and other meats. The meat can be either dry rubbed, or marinated, and then grilled over charcoal so that the spice blackens on the meat. Americans get pretty serious about their BBQ and grilled meats. There’s St Louis dry rub, Texas style BBQ, pulled pork, and ribs covered in a delicious layer of caramelized sauce. 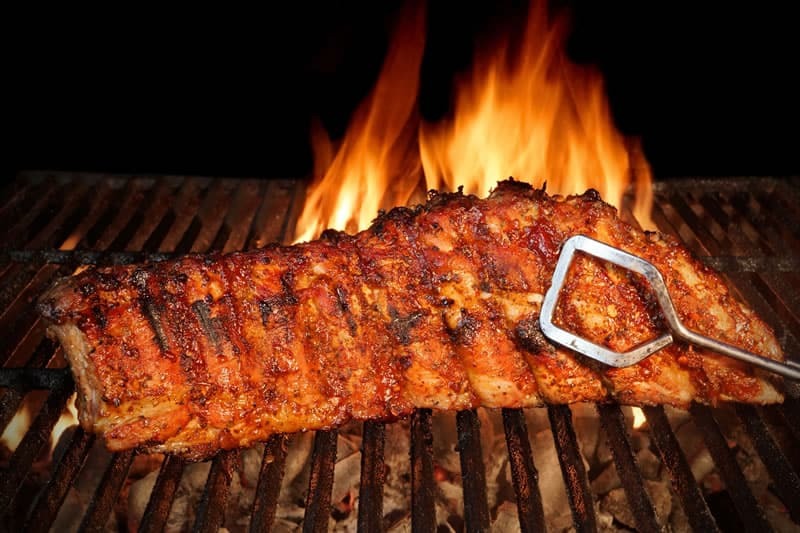 It’s all pretty good, but the classic BBQ style in the US is the thick tomato and vinegar based sauce that is applied to ribs, chicken, or pork in the last few minutes of grilling. It’s mouth watering, but can be a little more time intensive. And, just about everyone who has stood over a grill is a connoisseur, so expectations tend to be high when it comes time to grill. It’s an iconic national dish, to the point that people sporting terrible fake Australian accents rattle off its name at the drop of a floppy Australian hat. 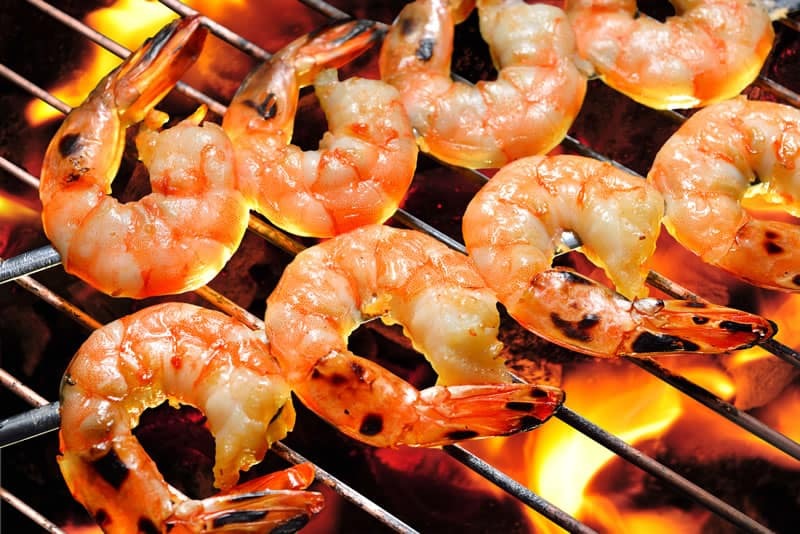 It is actually a popular grilling option down under, as seafood is popular and easily available. The ‘barbie’ in the name refers to BBQ, but not the American style sauce. Most places BBQ is just another name for grilling over a flame. The shrimp are usually marinated in beer before grilling, or some beer is poured over them as they are grilled. It’s usually served with grilled potatoes. Though it started with Afrikaans people in South Africa, it is now popular throughout southern Africa. This may be due to it being as much a social event as a dish, similar to a backyard party in the US. People get together for the day, everyone bringing a dish in potluck style. Braai is Afrikaans for grill, traditionally wood-fired. For a while, people switched to the easier to obtain and manage charcoal or gas, but there has been a renewed interest in the more traditional style of grilling. 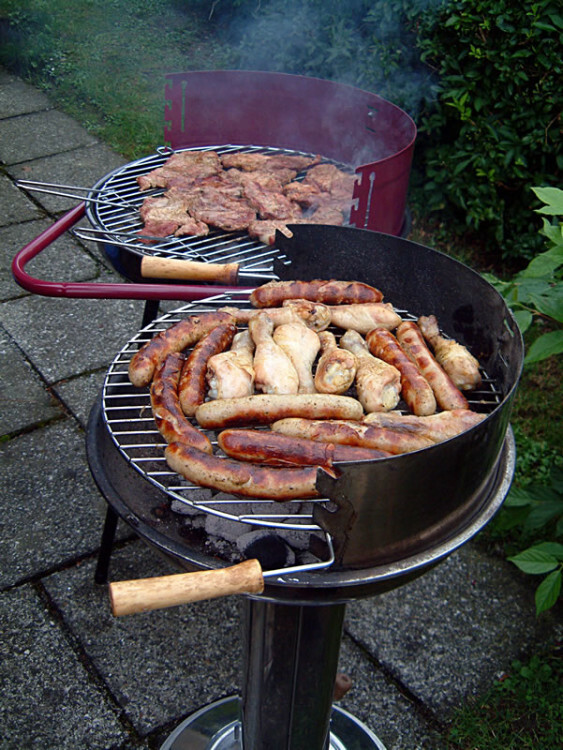 Sausage are popular, as are marinated chicken, pork, and steak. Biltong, a South African sort of jerky, is popular, as is rock lobster and fish in coastal areas. This is a regional variation on a Spanish dish. 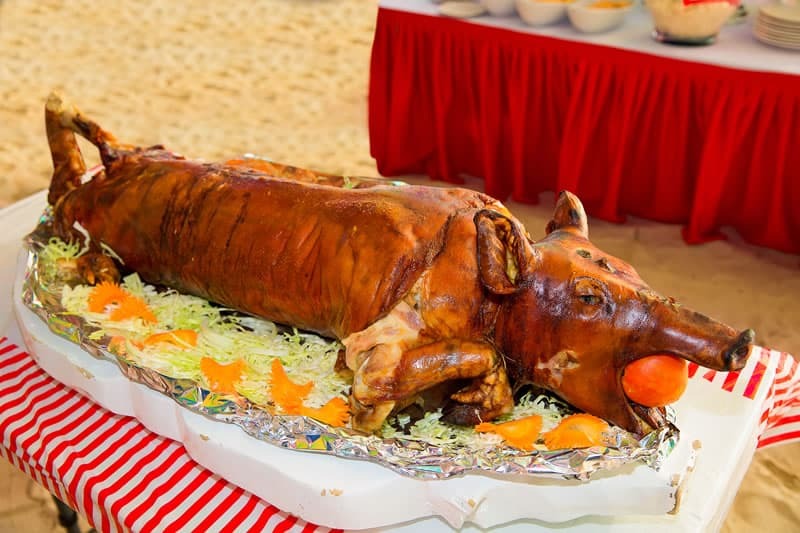 It’s basically a pig roast, a whole suckling pig being roasted over a charcoal fire for several hours. It’s turned regularly so that the meat cooks evenly. This process results in tasty meat with a crackling skin that is characteristic and unique. Lechon kawali is a pork dish that is similar, if less involved, that involved pan-frying the meat. Mezze in Lebanon is a series of small dishes, served in a specific order. It starts with olives, tahini, and a small salad. Next come some small meat dishes, and finally a more substantial dish of grilled meat and vegetables. The final dish might consist of grilled pork, beef, or lamb, with each region and restaurant serving their own specialty. The dish will also vary by season. It’s served communally, with everyone eating from the same dish. Brazil is another place where meat gets grilled on a skewer. But, unlike shish-kabob or yakitori, it’s not a dinky little wooden thing. These are big, metal forks or spits that grill sausages, chickens, or whole steaks. It’s a style that’s become popular in the US, with the opening of several restaurant chains that serve meat in this style. 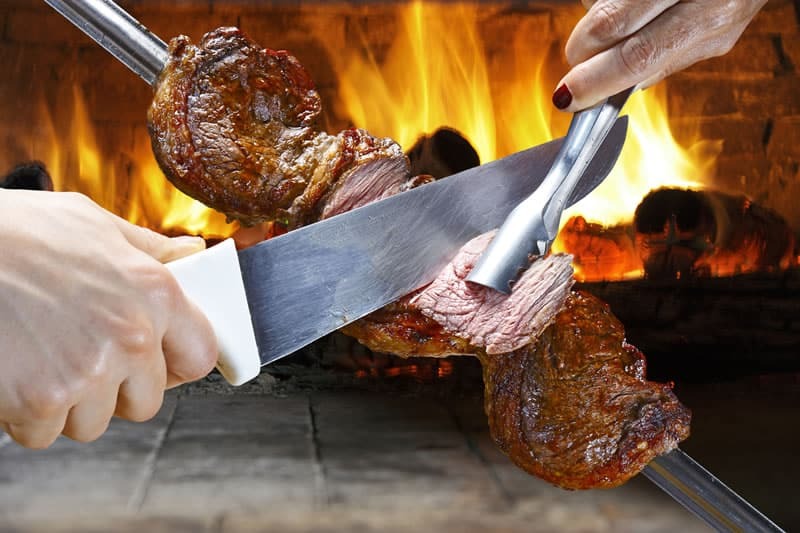 In Brazil and Argentina, though, the meat is grilled in people’s homes on specially built grills called churrasqueiras, which have several places to put skewers. These special grills may not have a ‘grill’ at all, but instead just places to hang skewers over coals. 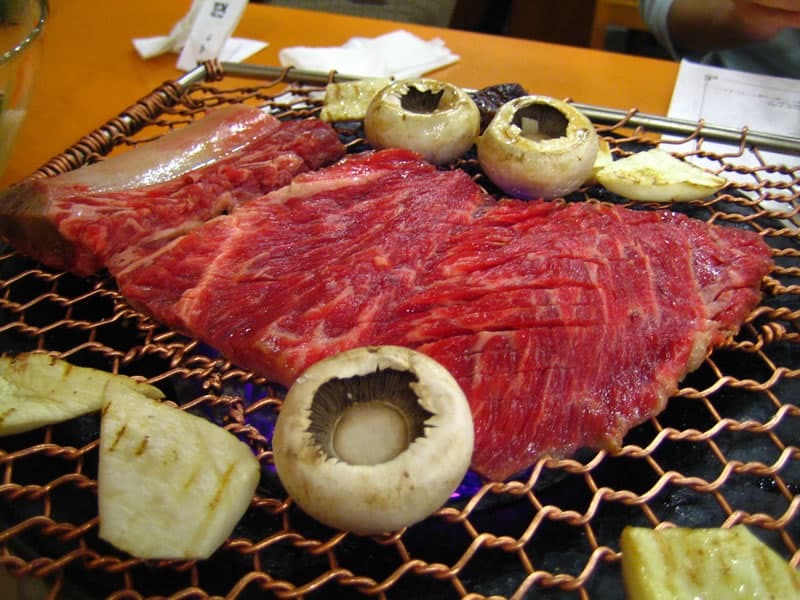 “Korean barbeque-Galbi-02” by by ayustety (flickr) – http://flickr.com/photos/ayustety/12483648/. Licensed under CC BY-SA 2.0 via Commons. This style of grilling is usually done at restaurants at a special grill built into diners’ tables, or over a portable grill brought to the table. Sirloin is a popular meat, as are beef short ribs. Pork or chicken is also popular. The meat might be marinated in a sauce usually made with soy sauce, ginger, sugar, sesame oil, and garlic. Unmarinated meat is usually sliced thinly, so that it cooks quickly when placed on the grill. 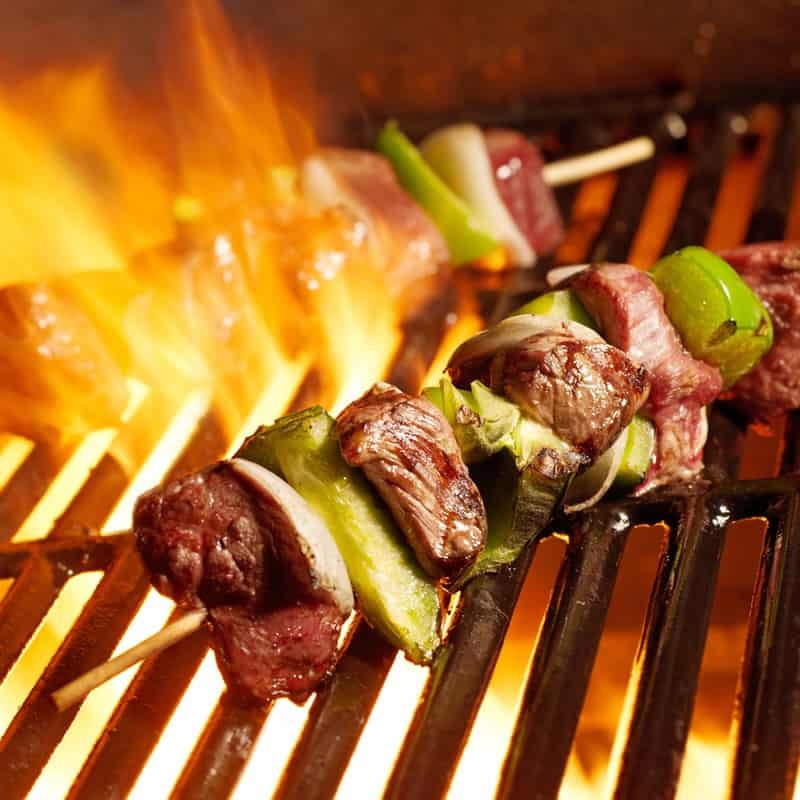 In Mexico, rather than quickly grilling meat, they slow cook it over an open fire. Or, if it’s truly traditional, in a hole in the ground, covered with maguey leaves so the meat is thoroughly smoked. Marinade or sauce is applied only after the meat is cooked, with the sauce featuring spicy peppers. The meat is usually shredded in a similar style to pulled pork. South America has a lot of different BBQ styles that are popular across the different countries. Asado is a word that translates to the basic BBQ grill. In Argentina, the grill uses a wood fire rather than charcoal and gas. Steak or other beef is popular, though chicken or spicy sausage can also be used. The meat is dressed with the spicy chimichurri sauce, which includes parsley, garlic, and red pepper flakes. 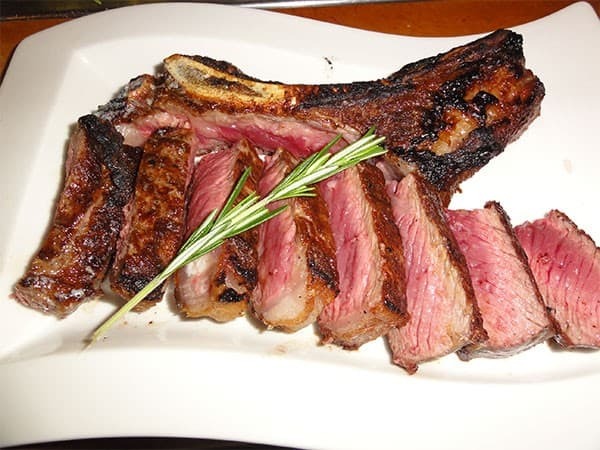 Florence prides itself on serving a good t-bone steak, in a style that is particular to the city. The steak is grilled over an extremely high heat, charring the outside while leaving the interior uncooked. A strictly authentic version requires meat from a particular variety of Italian cattle. However, any good cut would work in a pinch, and make for a flavorful meal that requires a little boldness. Grilling is more than just heating meat up over flame. It requires skill and a little artistry to make a truly delicious meal. But there is also a unique style for every culture and country in the world, so that you could grill a different way every night of the year, and still not run out of new ways.